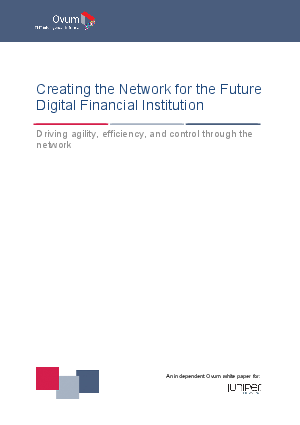 The digital financial services world has created an amplified set of challenges for the data center and network. Its role in enabling the success of the wider institution has become even more critical, but to deliver this it needs to provide a higher level of performance with increased agility, while maintaining high levels of efficiency and security. This is forcing institutions to transform their underlying IT capabilities, with the need to simplify the network, obtain more flexible connectivity, automate IT operations, and enable centralized control and administration being core strategies in this respect. As shown in Figure 8, this is driving a number of requirements for the future network. Key considerations for financial institutions in architecture design and vendor selection should be around moving toward a software-defined, intelligent, cloud-ready, and open network that enables the institution to meet its ICT imperatives and achieve these key ICT strategies.